KARACHI: The Indus Motor Company has stopped taking orders due to the recent depreciation in Pak rupee's value, which, according to the company has resulted in substantial cost increase of units. 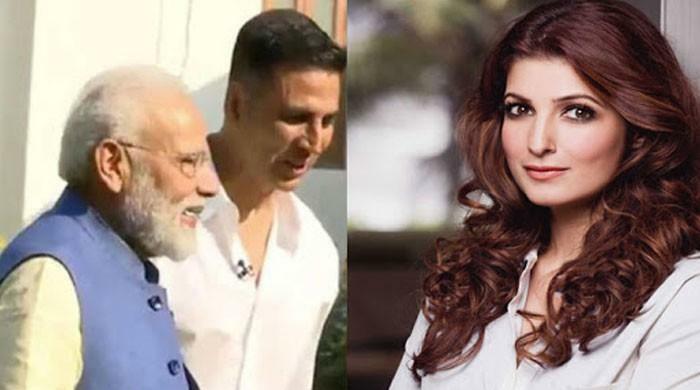 The company made the announcement in a ‘Public Notice’ published in newspapers today. 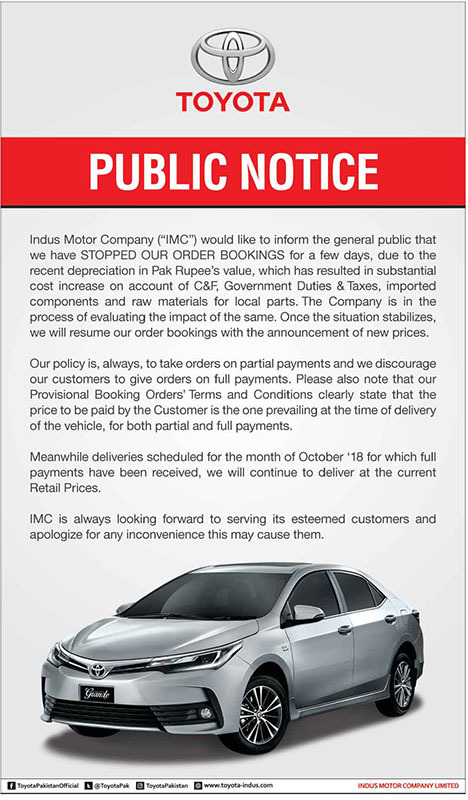 “Indus Motor Company ("IMC") would like to inform the general public that we have STOPPED OUR ORDER BOOKINGS for a few days, due to the recent depreciation in Pak Rupee's value, which has resulted in substantial cost increase on account of C&F, Government Duties & Taxes, imported components and raw materials for local parts. The Company is in the process of evaluating the impact of the same. Once the situation stabilizes, we will resume our order bookings with the announcement of new prices,” the notice reads. However, it added that the deliveries scheduled for the month of October '18 for which full payments have been received, will continue at the current retail prices. Pakistan on Thursday formally requested the International Monetary Fund (IMF) for bailout package following an apparent 7 percent devaluation of the rupee by the central bank on Tuesday, after Prime Minister Imran Khan announced the government would seek financial assistance to ease a mounting balance of payments crisis. The rupee weakened against the dollar in the interbank market on Thursday. The rupee closed at 133.80 against the dollar, compared with the previous closing of 133.76. Traders said the currency remained range-bound in early trading. The rupee; however, saw some movement after the reports that Pakistan approached the IMF. In the open market, the rupee rose Rs1.50 to 133.50 against the dollar from 135 on Wednesday.